Amazon Fire TV is an Android-based device. The Android version that the TV uses is known as Fire OS, a variant of Android designed by Amazon specifically optimized for their devices. One drawback of this separate operating system is the limitations imposed on the software. Apple users who want to add AirPlay to their Amazon TV just cannot do it. Luckily, there is a way around it, and that’s through a dongle device called the Amazon Fire TV Stick. The devices costs a little bit more, but enhances the functionality of your Amazon TV to a whole new level. This is attributed to its ability to download files other than just that available on Amazon’s Appstore. So are you ready to setup AirPlay on the Amazon Fire TV? Follow along with us below, and we’ll show you how, step-by-step. Let’s get started. The following step-by-step guide should easily enable you to add AirPlay and mirror directly to your Amazon TV from your iPhone. Connect your Fire TV stick to your TV. Open the Safari browser on your iPhone, go to Amazon.com and sign in to your account. From Safari browser, scroll down and click on the button ‘Go to full site’. In the search bar, search for Airplay. Purchase the $2.99 app known as AirReceiver. On the extreme right-hand side of your iPhone screen, you shall see a button that says ‘deliver’. Click on this button and send the file to Fire TV stick. Now on your TV, scroll down to Settings. Go to My Account and click on ‘Sync Amazon Content’. After the sync has been done, go to the app library on your TV and click on AirPlay receiver. Scroll down and click on enable AirPlay. You can also add more than one device to it. Open Control Center on your iPhone (by sliding up on the home-screen). Click on AirPlay and select your TV device. Enable mirroring and you shall be able to mirror your iPhone to your Amazon Fire TV Stick. As you can see, it’s fairly easy to add AirPlay to your Fire TV. In just a couple of minutes, you’ll have AirPlay up and working in no time. You no longer have to worry about the limited number of apps and lesser functionality on your Fire TV set-box. The Amazon Fire TV stick enables you to download more apps and make use of features that apps like AirPlay have to offer. So, why outfit your TV with AirPlay functionality? AirPlay has a number of benefits to it. If you’ve ever tried to present a presentation in front of a group of people, or wanted to show off a series of photos or an audio clip, you know how difficult it is to get it on a TV and working. AirPlay eliminates that problem, allowing you to connect your phone to the TV and seconds, and then display that information in front of a group of people with no issue whatsoever. AirPlay makes your life easier when trying to present or show a group of people something, thus the importance of having AirPlay working on the Fire TV! AirPlay is a nice way to wireless stream audio, video, device screens, and photos between devices. It’s unfortunate that many of the modern technologies today don’t allow it work by default, but in most cases, you can add AirPlay to any device with a screen with a little tinkering, as we showed you above. 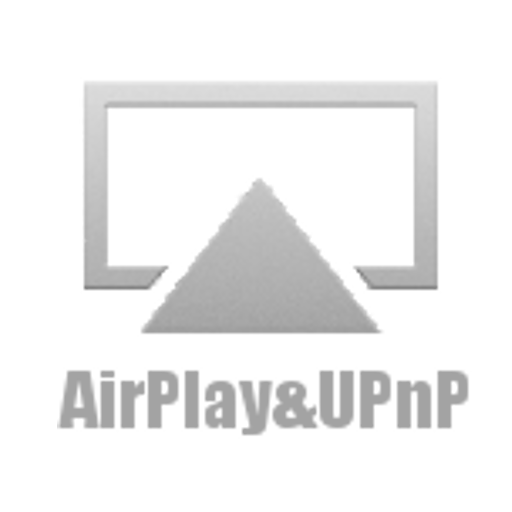 Do you use AirPlay regularly? What do you use it for? Did the steps above work for you? Sound off in the comments section below — we’d love to hear from you! Not working – Dont know how TomG got it to work. Maybe TomG would like to share? app is not able to purchase from amazon store. works like a champ. Your instructions don’t precisely describe the appearance of the Fire app store when I search for the Airplay enabling app. The search term you provide doesn’t exactly match any app. Of the two that it is closest to, I chose the one with the same price, and everything worked. You might want to update your search term to avoid user heartburn when setting this feature up. I have a mac laptop. Does this work on a laptop too?